Architect Frank Milburn brought classicism and medievalism to campus through a series of buildings he designed between 1897 and 1912. His classical buildings--Alumni, Howell, Hill, and Bynum—have porticos and columns, some more imposing than others. 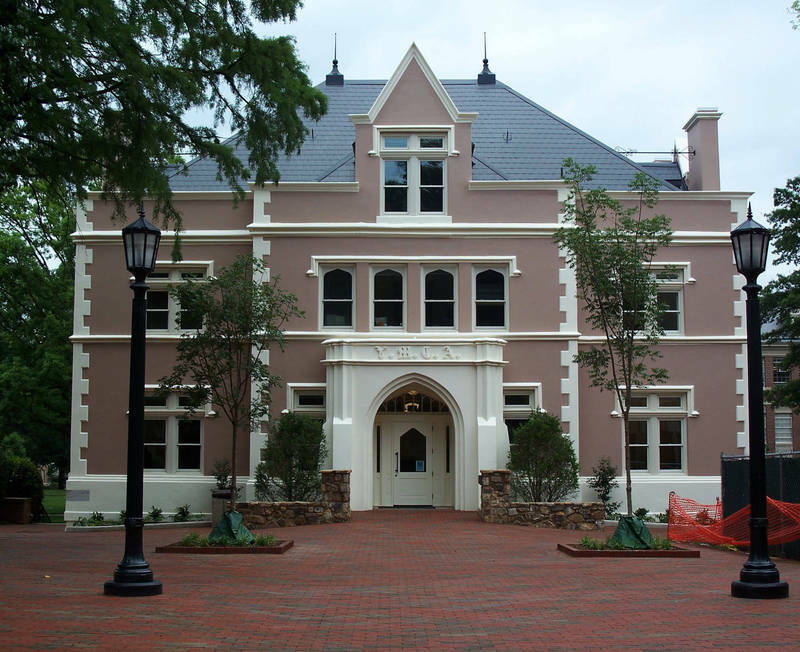 The dormitories, Mary Ann Smith and Battle-Vance-Pettigrew, derive more from medieval structures, with steep, gabled roofs, gargoyles, and low entries. Milburn’s design for the YMCA building also suggests the Gothic or late medieval style with its steep gabled roof, tall chimneys, and low arched entrance.